I was supposed to write an article about The 9th Philippine Toycon and a movie review of Toy Story 3, but due to my officemates always wondering why am I the only one who doesn't get sick finally got answered by two days of fever and a day of headache. Anyway, I'll just cram all those supposed to be posts into this one entry instead. Read on baby! What can I say? It was a damn success! First time in my entire life that I took part in not just one exhibit, but two! Otakai Figure Society and GameOPS was the two booths I was talking about. Otakai once again proved that Anime figs never loses their charm especially to the girls. GameOPS made you relived your childhood memories by playing Duck Hunt or Super Mario 1. Anyway, Toycon itself makes you feel like a kid once more with all those toys and lolis all over the place. 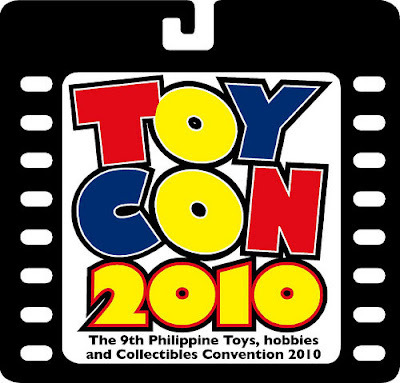 Congratulations to the Toycon staff and see you all next year! Finally, the much awaited conclusion to the Toy Story franchise. It was not long ago (actually 1995) when we first saw Toy Story. 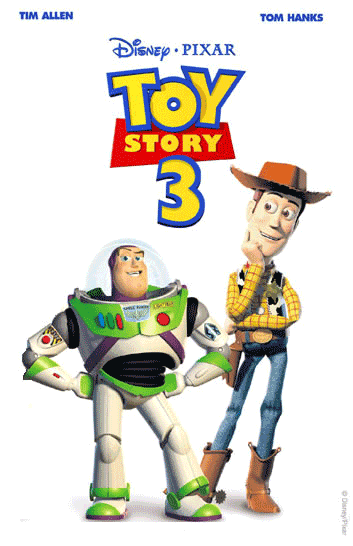 The first full 3D animated cartoon by Disney and Pixar. The sequel, Toy Story 2 was shown last 1999, the end of the millennium. It took almost a century for the third installment but it was really worth the wait. Some may think that ten years was way too long, the fans who loved it back in 1999 outgrew it already! Wrong! In fact, when I was lining up to buy a ticket and accidentally it's Father's Day, Those young dads introduced Toy Story to their children as if passing down a torch to the next generation. Isn't that cool? Also, the movie has shown the younger generation what do our toys look like back then. Come on, you felt nostalgia when you see those toys in the movie. I'm definetly buying the whole set on DVD! And on a final note: Spanish Buzz rocks!